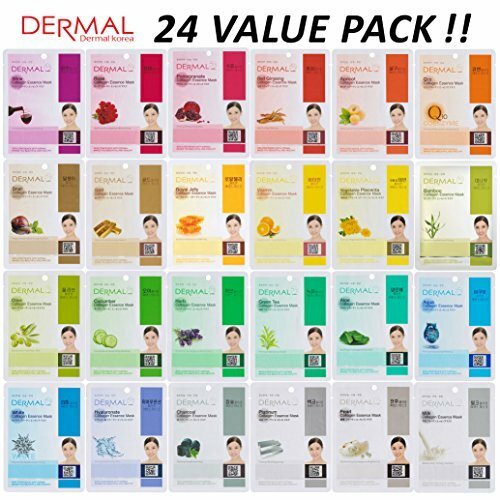 Dermal collagen essence mask is a new essence mask which specially formulates cosmetics to penetrate highly concentrated active ingredients into the skin while keeping air out of the skin completely thus, it makes your tired skin moistened, elastic, clear and relieves your skin from stress. Please use 3~4 times per week. Product feature: You feel the difference immediately by using dermal essence mask. After using, it is possible for you to go out without washing face. With its pearl powder and various mineral ingredients, it makes your skin relax, clear and moistened. It includes vitamin e and collagen which keeps your tired skin always healthy and elastic. Product specification/models ingredient: water, glycerin, butylene glycol, hydrolized collagen, aloe barbadensis leaf juice, portulaca oleracea extract, pearl powder, beta-glucan, panthenol, tocopherylacetate, polysorbate 80, disodium edta, xanthan gum, perfume, methylparaben. . 23 G / sheet contain more essence. . Pearl powder 0.02%, Hydrolyzed collagen 0.2 %. Application step 1 - open package and unfold facial wrap. Each mask is for one time use only. Step 2 - apply facial wrap gently smooth outer edges to form to face. Step 3 - lie back and relax for 20 minutes or longer. Direction: thoroughly clean and dry your face before applying the facial wrap. In order to spread the exact evenly pat the pouch 2-3 times prior to opening. Smooth facial wrap using fingertips to position over your face. Lie back and relax for 20 minutes after applying the facial wrap. Remove the facial wrap gently and massage remaining exact serum until completely absorbed. Cream or lotion can be followed if desired. Each facial wrap is for one time use only. DETOXIFY AND PURIFY SKIN : Aliceva Black Charcoal Peel Off Mask works to gently detoxify and purify skin by drawing out impurities, oil and environmental toxins. NO HARSH CHEMICALS : Formulated without dyes, animal oil, mineral oil, parabens and petrolatum. 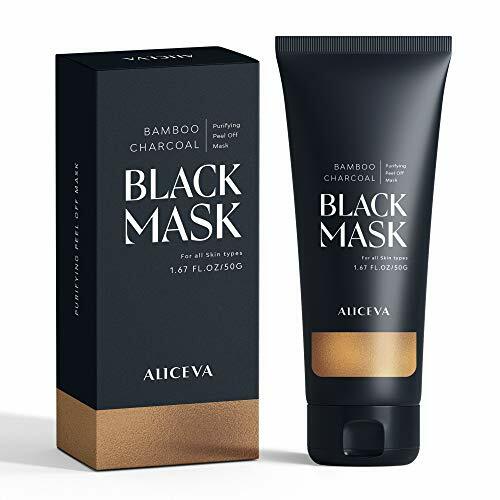 Say No to harsh chemicals with Aliceva Black Charcoal Peel Off Mask. RISK-FREE, 30 DAYS MONEY BACK GUARANTEE : If you are Not Completely Satisfied, simply contact us. 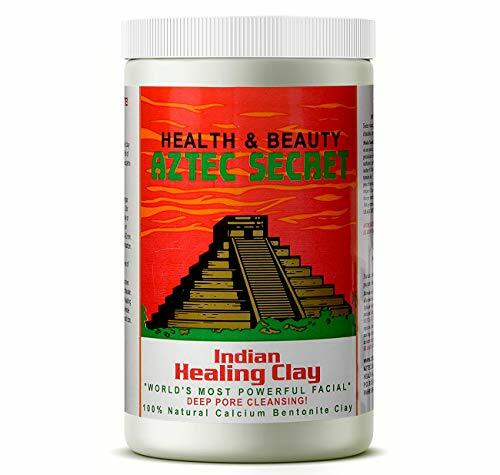 How Aztec secret works Indian healing clay clays have been used for centuries to beautify and refresh when used as a facial mask. Cleopatra used clay from the Nile River and the Arabian Desert over 1800 years ago, as part of her beauty ritual. German and roman spas have been using clay packs and treatments in the spas they built 4,000 years ago. Many of these spas still exist and use clay even today. Pliny the elder devoted an entire chapter of his natural history" to the many uses of clay for pimples, black heads and skin tightening. Many famous naturopaths, such as kuhn, just and kneipp have contributed to the revival of the uses of clay through their natural treatments for arthritis and skin ailments. Aztec Indian healing clay a brief history - the world s most powerful facial the use of clay with apple cider vinegar can be dated back to the southern French priest of the16th century, kneipp, and his natural treatments using clay packs and poultices. Throughout history the use of clay, specifically green clay or bentonite, is well documented. To learn more about clay, look for "our earth our cure" by Raymond Dexteit, translated by Michel Abehsera in your local health food store or book store. 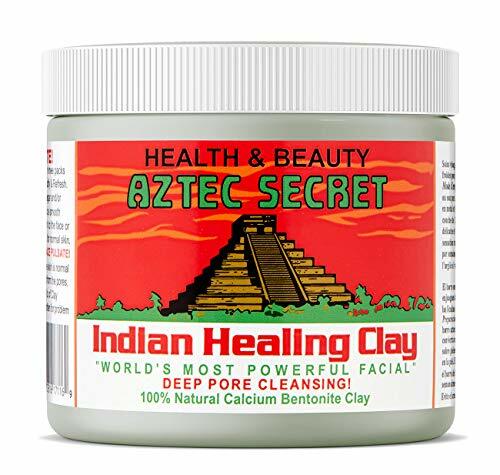 Aztec secret Indian healing clay is bentonite clay from Death Valley, California, where it is sun- dried for up to six months in temperatures that sometimes reach 134 degrees. Facials, acne, body wraps, clay baths, foot soaks, chilled clay for knee packs and insect bites. Enjoy the benefits of clay in your own home. Beautify and refresh. The date shown on the package is NOT the expiration date. It's the manufactured date. while purifying the skin of impurities, dirt, blackheads, oil, and acne. Experience softer skin, minimized pores, and a brighter complexion with regular use of the deep cleansing black facial mask. Your skin oil balance will be improved and complexion will look firmer and cleaner. Our beauty mask also comes with a lovely pink brush. STEP 1: Wash skin with your favorite cleanser. STEP 2: Place a warm towel over face for 3-5 minutes to open pores. STEP 3: Evenly apply an opaque, even layer to clean, dry skin. Avoid the hairline, eyebrows, eyes, and mouth. STEP 4: Leave on for 10-15 minutes or until completely dry. Gently peel off the mask from outer edges. STEP 5: Rinse off any residue with water and follow with your favorite moisturizer. 1. Test a small amount of product to a small area of clean dry skin such as the T-zone, nose or chin area. 2. The thickness of the mask should be moderate. If the mask is applied too thin, it will not be easy to peel off the mask and the adsorption effect is not as effective. If the mask is applied too thick, the waiting time for the mask to dry would be too long. Severe blackheads: 2-3 times a week. If there is any questions or problems at all, please do not hesitate to contact us and we will make every effort to respond to all customer service inquiries as soon as possible. The mask contains bamboo charcoal with high absorbing ability. It absorbs blackheads and aging skin, easily dissolve blackheads in pores , and soften the horniness . Enriched with polypeptide collagen, it whitens & leaves the skin silky smooth. By controlling oil and water balance, it gives your skin an energetic glow from inside. Attention: Before you use the mask, you can take a little on the inside of the wrist, or behind the ears, half an hour after the adverse reactions. Which ingredients will help my skin? Albumin - An ingredient found in egg whites that takes in moisture and helps with skin tightening. Aloe Vera Extract - Helps with replenishing, calming, and smoothing of skin. Rose of Jericho Extract - Also known as the resurrection plant, this plant can survive decades even with only 2% moisture. 1.Remove cover from Zombie pack. 2.Add activator to powder and mix with brush. 3.Spread mixture over entire face excluding eye area. 4.Leave on face for 10~15 minutes and wash off with warm water. Finish with toner or lotion of choice. NO PAIN, NO GAIN! 15 minutes of horror for a 15 years younger-looking skin... doesn't sound so bad! After mixing the powder and activator, apply the mask on your face and feel it getting to work instantly! Elizavecca Milky Piggy Carbonated Bubble Clay Mask is a bubble mud pack that provides pore cleaning and black head removal. Kaolin clay is an all-natural white, porous clay in powder form. Kaolin is a common mineral clay that is found in warm, humid regions throughout the world, including the southeastern United States. It is used in a wide variety of industries because of its fine particle size, chemical inertness and absorption properties. 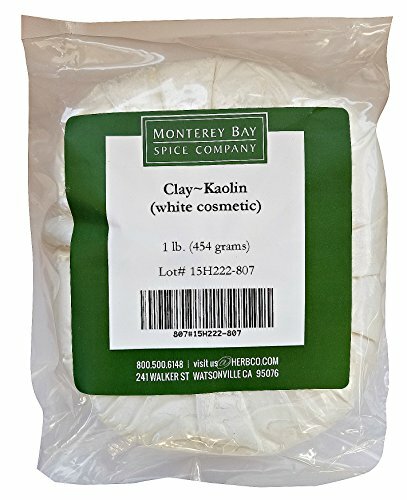 Kaolin clay is also known as China Clay. 100% NATURAL AND SAFE. COMMON USES: Create soap, creams, lotions, face or body masks, bath bombs and apply to normal, oily, dry or sensitive skin. Gentle exfoliator. Excellent for cosmetic use. Gentle on the skin. Has natural absorbency properties. scrubs, poultices, deodorants, It helps stimulate circulation to the skin while gently exfoliating and cleansing it. It does not draw oils from the skin, so it can be used on dry skin types without negative results. TEXTURE & ACTIVE COMPOUNDS: Light and fine texture. Active compounds include Kaolinite silica, iron, magnesium, calcium, sodium, zinc, and minerals. IDEAS FOR USE: Cosmetic - use alone or in combination with herbal infusions and essential oils to create facial masks and spot treatments for troubled skin or to maintain healthy skin. HOUSEHOLD - Use in the garden to prevent pests from eating the leaves of vegetable plants. 1 LB BULK PACKAGING: Come in 1 pound bag of Kaolin clay powder, which equates to approximately 4 cups to the one pound bag. Deeply hydrate and moisturize your pores and store tone, firmness, and clarity with Cevali facial masks. Keep your face clean and clear while reversing the signs of aging, balancing your natural skin tone, and infusing it with essential hydration with Cevali Face Mask Sheets infused with powerful antioxidants, natural botanicals, and vital nutrients that nourish and protect your skin while leaving behind beautiful radiance. Honey (Cleanse and Moisturize): Remove impurities and infuse with antioxidants to leave it looking suppler and radiant while protecting against sun damage Cucumber (Soothe and Soften): Rejuvenate your complexion with antioxidants that diminish the signs of wrinkles and fine lines while retaining moisture. Tea Tree (Calm and Refresh): Refresh tired skin and reduce signs of stress or fatigue. Enjoy tighter, plumper, suppler complexion with brighter results. Avocado (Regeneration): Revitalize, moisturize, and nourish skin to balance dryness and restore a natural, radiant glow. Charcoal (Purify and Refine): Absorb impurities and detoxify the skin while leaving behind a glowing complexion and minimized pores. Pomegranate (Brighten and Enhance): Packed with antioxidants, this offers a fresh, balanced feel that smooths out your complexion. 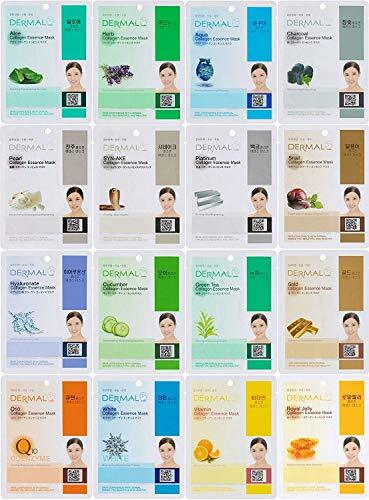 Restore balance, firmness, and radiant skin tone with Korean facial masks infused with natural antioxidants and vitamins by clicking 'Add to Cart' above now. Naturally Brighter Skin Tone - Authentic Korean facial masks, when used regularly they can help diminish signs of dark spots, pigmentation, circles, and puffiness. Infused with Anti-Aging Antioxidants - A truly age-reversing formula, our collagen face masks help create firmer, healthier, more balanced skin for radiant confidence. Moisturizing Hydration - Infused with natural botanical ingredients like tea tree, cucumber, honey, charcoal, and avocado, it's gentle on dry, oily, or sensitive skin. Revitalizing Skin Therapy - A deeply-hydrating experience, our face mask sheets infuse your skin with vital moisture while helping improve overall tone and firmness. 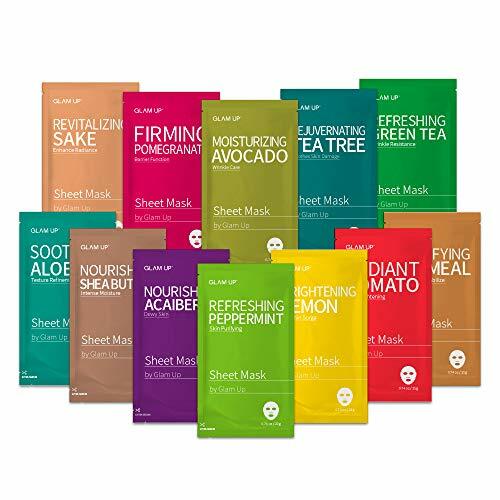 Premier Face Mask Quality - Celavi Korean sheet masks offer safe, natural support, include 9 total packs, and come backed by a satisfaction guarantee you can trust. The Secret To Having Fresh, Soft, Clear Looking Skin! Please Note: Some individuals with sensitive skin may experience redness, irritation, or other minor adverse reactions. If this occurs, please discontinue use. 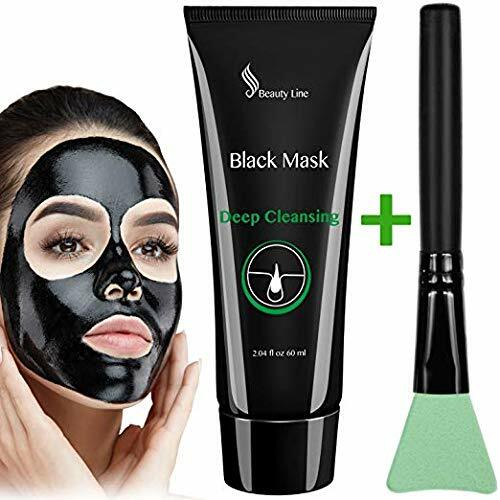 #1 PROFESSIONAL SPA FORMULA: Highest Quality Dead Sea Mud For Face, Acne, Body, Oily Skin & Blackheads - Best Facial Pore Minimizer, Reducer & Pores Cleanser Treatment - Natural For Younger Looking Skin with Shea Butter + Aloe Vera + Jojoba Oil for women, and men. 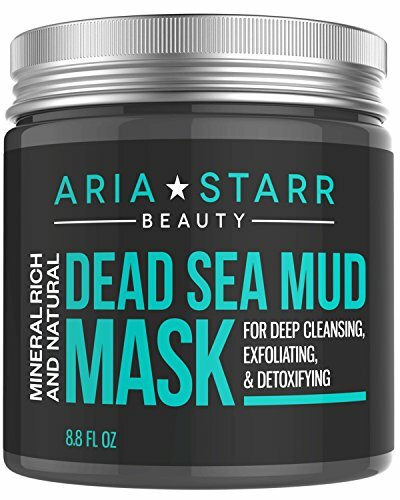 EXFOLIATE, DEEP CLEANSE & DETOXIFY: Aria Starr Beauty's Dead Sea Mud Mask extracts toxins and impurities located deep in the skin layers, absorbs excess oils, and removes dead skin cells, dirt and toxins to reveal fresh, soft, clear looking skin with clean pores, even skin tone, and refined skin texture. HELPS FIGHT BLACKHEADS & ACNE: Discover the world renowned sacred mud that spa's across the nation are raving about. Contains natural minerals like magnesium, calcium, sulphur, bromide, iodine, sodium, zinc and potassium, which are known to treat, detoxify, and cleanse the skin. MOISTURIZER & STIMULATES CIRCULATION: Delivers a significant amount of moisture to your dry or sensitive skin. Also, dramatically increases the blood flow to your skin cells helping to achieve healthier and tighter looking skin for anti aging and anti wrinkle. SENSITIVITY TEST: First apply a small amount in a covered area of your skin before applying on your face. Product ingredients include natural astringents, which may affect persons with sensitive skin. The Australian mask taking social media by storm! A 4-IN-1 FORMULA : Our Australian botanical infused pink clay mask can be used as an instant detox mask to tighten pores, invigorate a dull complexion and instantly boost radiance. 1. DETOX : Draws out impurities, toxins and pollutants from the skin. Refines the pores and deep cleanses the skin. 2. INVIGORATE : Helps to regenerate skin cells and stimulate cell production. Gently removes pigmentation clusters from the skin's surface. 3. REFINE : Tightens pores and soothes skin. Stimulates collagen production. 4. BRIGHTEN : Helps prevent free radical damage. Creates defense shield to leave skin clear and glowing. Gently remove with warm water and pat dry using a soft clean towel. It's normal to feel a tingle sensation. Our Sand & Sky Pink Clay Mask is full of active ingredients. This tingle is good and means that the ingredients are working to tackle the impurities on your skin while you relax. WORLDWIDE BEST SELLER. SOCIAL MEDIA SENSATION. It's the face mask that the internet is freaking out over. 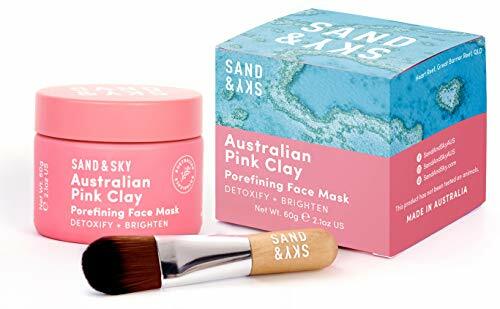 The multi award-winning Sand & Sky Australian Pink Clay face mask detoxifies, brightens and minimizes the appearance of pores in just 10 minutes. THE ORIGINAL AUSTRALIAN PINK CLAY MASK. It's why over 500,000 people swear by Sand & Sky. Our hero ingredient- Australian Pink Clay is a magnet for toxins and deeply cleanses the skin. It will tighten pores right before your eyes leaving your skin clear detoxified, bright and glowing. FREE APPLICATOR BRUSH. The cute Sand & Sky silky-soft applicator brush helps get the most out of your mask by giving you even coverage and limiting product waste. Our Sand & Sky facial mask is full of active ingredients so it's normal to feel a slight tingle. This tingle means the natural ingredients are working to unclog those pores and supercharge your glow! SKINCARE THAT WORKS. Unlike other cheap beauty brands who use lots of nasties, Sand & Sky products contain nothing but goodness with ZERO nasties. Made in Australia using 100% natural and organic Australian ingredients, our facial mask is cruelty-free, PETA approved, 100% vegan, paraben free and gluten free. Suitable for all skin types from acne prone, combination, oily to dry and sensitive skin. 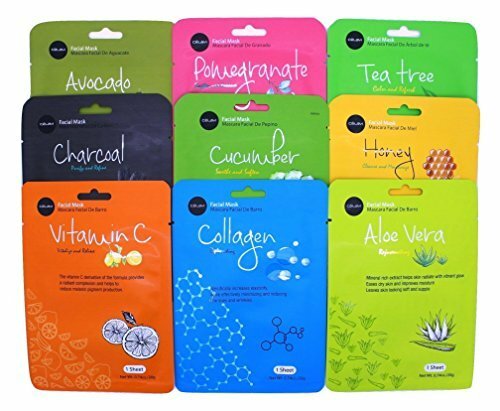 Premier Face Mask Quality - Celavi Korean sheet masks offer safe, natural support, include 12 total packs, and come backed by a satisfaction guarantee you can trust. - Shea Butter nourishes and moisturize skin intensively. - Avocado extracts offers intense nutrition to the skin while relieving sensitive zones. - Oatmeal properties keeps skin soft and smooth, preventing wrinkles and acne. - Natural Aloe extracts soothes dry skin and provides intense hydration. - Organic Lemon Flower extract helps brighten skin. - Tomato extract assists in clearer complexion. - Pomegranate essence firms skin. - Sake concentrates soothes and softens skin. 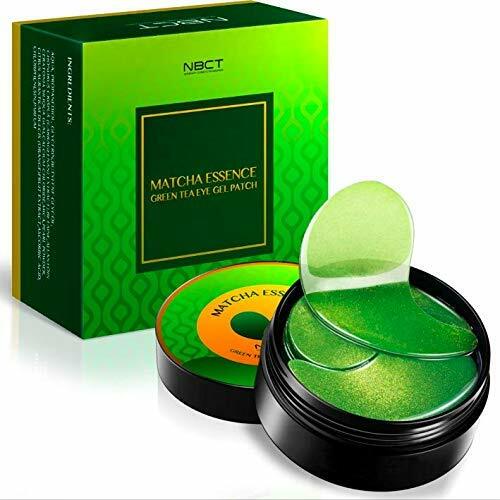 - Green tea extracts soothes the face, calming any skin irritations. - Acaiberry concentrates tightens and firms skin. - Tee tree properties leaves skin feeling smooth and refreshed. - Organic Peppermint components clears blackheads minimizing the appearance of pores. LEAPING BUNNY : ANIMAL-TEST FREE! 3-Layered Natural-Pulp, Deep Moisture Grip Sheet, Absorbs Fast. 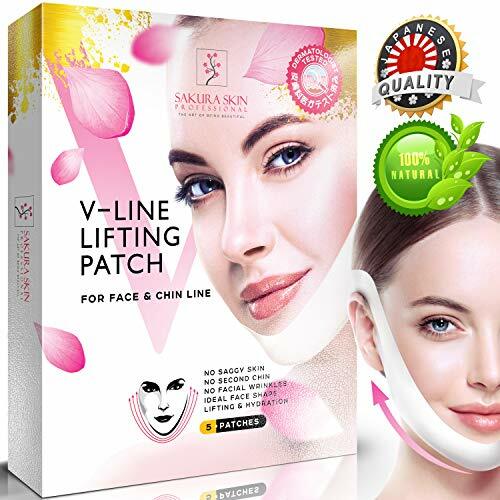 V-Line Lifting Patch is an intensive anti-aging agent used to remove the second chin and saggy skin along the facial contour. Sakura Skin Chin mask can be successfully and effectively used at home, with proven effect. V Face mask is an alternative not only to expensive procedures in beauty salons, but also to surgical procedures. The skin gets abundant moisturizing, facial wrinkles are smoothed, the tone of the skin improves significantly, the v face shape is corrected, the double chin disappears. The face acquires an ideal V up form. To achieve the best effect, we recommend using Sakura Skin chin lift patch for four weeks. For the enhanced effect, use the v lifting mask daily for one hour for the first 10 days. Then continue to use 2 to 4 times a week.  Don't miss out on the best your skin has looked in years... Click Add to Cart and Order NOW! 1.Wash your face with warm water and cover it with a hot towel to open the pores . 2. Dry the cleansed area and apply the masque on desired area (avoid eyes,eyebrow and lips). 3.Wait 10~15 minutes,Then Peel off the black mask gently from the bottom to upward. (Gently and slowly tear it off). 4.Rinse with cold water,To achieve better result, apply toner so as to tighten and cleanse the pores thoroughly.and you may apply your daily skin care products afterwards. *For those with sensitive skin, or fragrance-sensitive,it is highly suggested to apply some for a try to the skin behind ears before use,and if there no allergy symptoms such as red or itchy skin after 24 hours,just use it without risk. *If there is any discomfort, stop using. *storage:Keep in a cool dry place,avoid direct sunlight or high temperature. mprove Blood Circulation: Improve skin blood circulation, and generally contributes to a younger, healthier skin. Effective removal: Our blackhead mask can strongly capture blackheads,Let them leave from the face and give you a clean face. 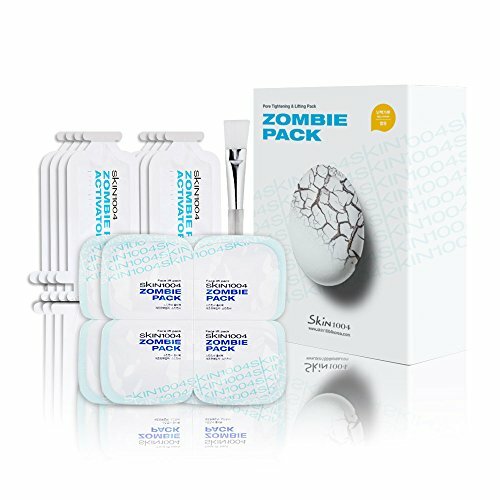 Breakthrough 1-step acne healing patch combines innovative microneedle technology with blemish-fighting actives, salicylic acid and tea tree oil, to get rid of breakouts fast. 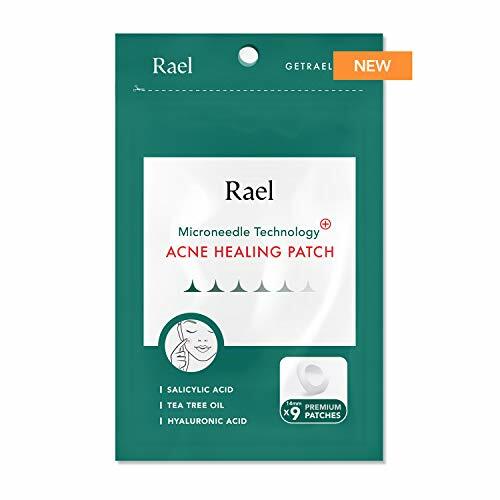 Patch is designed with super thin "microneedles", or microstructures thinner than a strand of hair, that prick your skin, allowing anti-fighting actives in the patch dive deeper into the skin. Patch also contains hyaluronic acid to prevent over-drying or scaling while skin heals. MFD (Date of Manufacturing) - The date on the back of the package stands for Manufactured Date, not expiration date. CLEANS & EXFOLIATES SKIN Using ingredients inspired by nature's solutions, Andalou Naturals Pumpkin Honey Glycolic Mask helps gently clean dirt, impurities & dry cells to exfoliate skin & leave your face feeling & looking smooth, bright & even in tone. BRIGHTENING WITH VITAMIN C Andalou Naturals' nature inspired skin care products using vitamin C help promote a brighter, lighter & tighter skin in normal & combination skin types, help even skin tones & can improve sun damage for a healthy looking glow. FRUIT STEM CELL SCIENCE Every Andalou Natural's personal care product-including masks, creams, serums, moisturizers, cleansers, & toners-use nature's antioxidant defense solution to help protect & support a youthful, revitalized, healthy look. 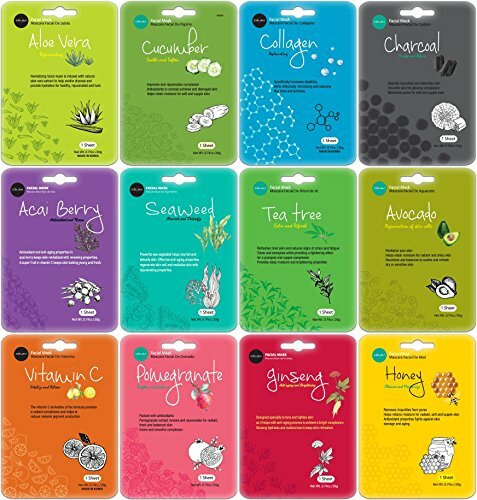 INGREDIENTS FROM NATURE Andalou Naturals supports Superior Source Ingredient Standards in the personal care natural product industry & use ingredients that are organic, non-GMO, gluten free, vegan, Sustainable, Fair Trade, cruelty free & nature derived. ANDALOU NATURALS QUALITY Compare to brands like Acure Organics, Shea Moisture, Alba Botanica, Juice Beauty, Pacifica, Yes to Carrots, Burt's Bees, Derma E,Kiehl's, Aveda, Mineral Fusion, Josie Maran. Our activated charcoal mask is well-loved by many beauty gurus. Our nourishing and ultra effective peel off formula deeply cleanses while purifying the skin of impurities, dirt, blackheads, oil, and acne. Experience softer skin, minimized pores, and a brighter complexion with regular use of the deep cleansing black facial mask. This black mask made with charcoal and bamboo extract for purification makes is a fantastic deep cleaning mask. My chin gets blackheads so bad that they poke out above the skin and I can scratch the tops off with my fingernail. I know, gross, right? When I tried this mask, I was so afraid of it getting stuck to my face and hurting. But it peeled off easily, without taking the skin with it, only removing the blackheads. 1. Cleanse your face with your normal cleanser. 2. Place a hot towel on face focusing on areas with larger pores and blackheads for several minutes. 3. 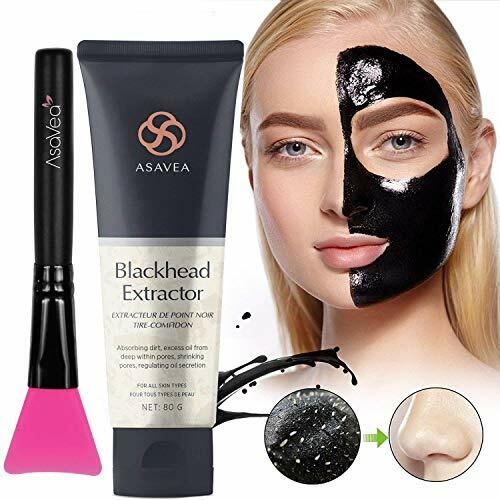 Apply an even layer of Essy Beauty activated charcoal mask focused on areas with blackheads and open pores, avoiding sensitive skin around the eyes, brows, and lips. 4. Allow mask to dry for 15-20 minutes or longer if necessary. 5. Gently peel the mask off start from the bottom of the mask. Rinse face with warm water if needed. 100% Safe & Ultra-purifying - Our activated charcoal facial peel off mask works deeply to remove blackheads and visibly reduce pores and acne. Flush Out Environmental Toxins - Activated charcoal draws out toxins, dirt, and impurities that clog pores for a renewed and clear looking complexion. 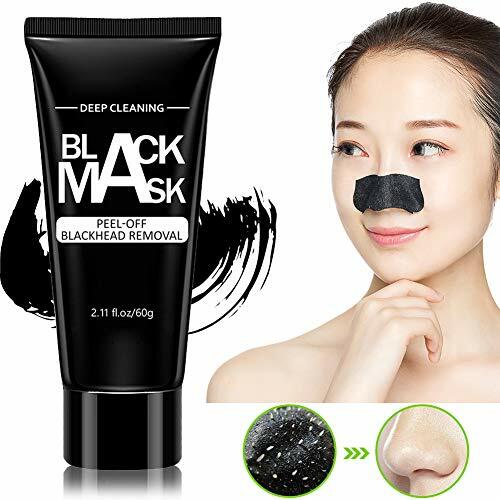 This deep cleansing blackhead remover also effectively reduces signs of aging by tightening skin and smoothing out wrinkles. Brighten & Nourish - Skin is left feeling nourished, baby soft and brightened after every use of this peel off mask. Powerful Antioxidants - The purifying peel off black mask contains powerful antioxidants that protect the skin while balancing the skin for a cleaner and more beautiful complexion. Money Back Guarantee - The team goes through rigorous testing of our formulas and believe you will love the final product just as much as we do. If you are not satisfied with your Essy Beauty product, we offer a replacement or refund. There is literally no risk for you, so don't hesitate to try our charcoal blackhead mask! 1.The Blackhead Mask is only used for removing blackheads, exfoliating and cleaning the skin. 2.No effective against acne. Don't use it on your acne or inflamed areas. 3.Spread the Blackhead Mask slowly in the same direction on your face and don't stay on the same area too long. 4.Please ensure that you are not allergic. 5.If there is any discomfort, stop using. Deep Facial Cleansing: Remove acne, blackheads, and blemishes. Help to remove stubborn stain or oil spots on your face. Easy to Use: Completely easy-to-use mask that comes with basic instructions so you can put it to use right out of the box. Multi-Purpose: Reduce the effects of computer radiation on the skin, restore youthful vitality to dull and tired skin, and make the skin firmer. NBCT Under Eye Patches provides instant moisturizing effect. Removes dark circles under the eyes, eliminates swelling and irritation. Your face looks fresh and rejuvenated! acne, strawberry nose, and dark spots, making your face smooth and shiny. Aqua, Glycolic acid, Bamboo charcoal, Coconut oil, Vitamin E, Acetate, Imidazolidinyl urea. 1. Cover your face with a hot towel for about 3-5 minutes to initiate expansion of pores. 2. Dry the skin (Not recommended to use the mask on wet skin). 3. Apply a suitable amount of blackhead removal mask on the nose or face with a face mask brush. 4. Wait 10-15 minutes for the mask to dry, and then slowly peel it off from the bottom up (from chin to forehead). *After use, you will see a reddening of the face that will persist for an hour - this is normal. Therefore, it is recommended to use our best face mask at night before bedtime. Not recommended for sensitive skin. Use no more than twice a week. Better to use at night before bedtime. Apply on small separate zones (nose, T-zone, small facial area). After use in summer, it is also recommended to apply sunscreen prior to going out in the sun. 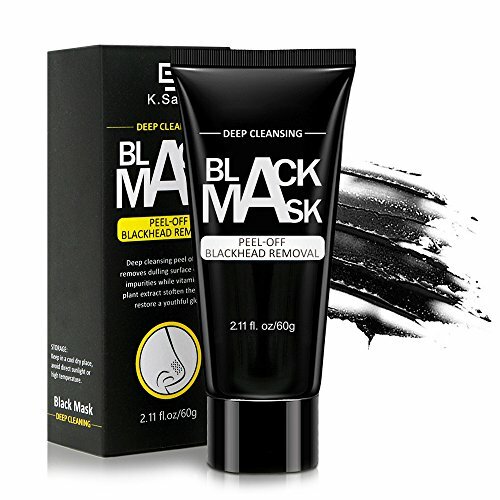 Black Mask will deeply clean your skin, remove blackheads, whiteheads, acne, and dark spots. Activated charcoal draws out toxins, dirt, and impurities that clog pores for a renewed, making your face smooth and healthy-looking. Black Peel off Mask consists of only organic and natural ingredients, such as bamboo charcoal, coconut oil, and Vitamin E which will detoxify your skin and make it much softer. Each set contains a silicone applicator for your convenience. Before applying black peel off mask, use a warm towel on your face to open the pores. Then dry the skin and apply a thin layer of clear face mask for better exfoliation. IMPORTANT - apply the blackhead removal mask to the dried skin. 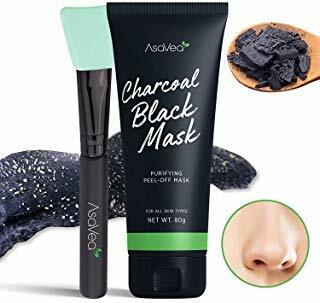 A deep pore cleaner, this activated black charcoal face mask helps remove impurities, blackheads and blemishes for toned, radiant skin. In the package there are one black mask and one Gift - brush. Pamper your face and face of your loved ones with GIFT-black mask set. Our activated charcoal black mask for men and women. Our purifying peel off black mask the consists of natural ingredients. For any reason you are not satisfied with our face peel mask kit, we will offter you a full refund with. 1. Made of Lycra fabric, which is soft, breathable and good elasticity. 2. Physical way, no side effect, safe to use. 3. Stereo cutting, tighten your skin and lift up your facial contours perfectly. 4. Hook & Loop, adjustable from your own. 1. Do not bundle up. 2. Keep your face clean and dry before wearing. 3. Proposed Wearing two hours a day. 4. Hand wash with neutral detergent. 5. Line dry in shade, no bleach. 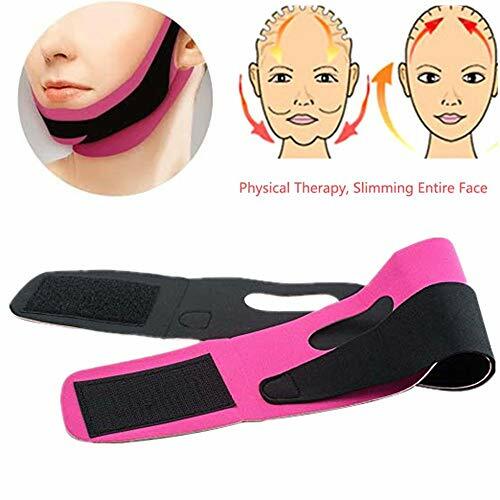 COMFORTABLE EXPERIENCE : Our face lift band is made of premium quality Lycra fabric, skin-friendly, which is soft, breathable and good elasticity. Stereo cutting, tighten your skin and lift up your facial contours perfectly. Silicone dripping bead can reduce the contact area of fabric fiber and skin to reduce friction damage and tighten your skin by massage way. SAFE AND EASY TO USE : Adopt simple physical way to improve your face shape, mild for kinds of skin, will not cause allergic reactions, no side effect, safe to use. Adjustable Hook & Loop design, adjustable from your own, fits for most people. REUSABLE&DURABLE : This compression chin strap can be washed with warm water, just use a mild detergent, then dry naturally. Easy to use, just wear for 30 minutes when reading, sleeping, watching TV or doing housework. It can obviously keep your chin up, reduce the thick chin and reshapes the facial contours. Redmond Clay is an old Home Remedy used for generations. Redmond Clay s origins are as old as the practice of putting a mud poultice on a bee sting. Geologically, Redmond Clay is volcanic ash that was deposited in sea water approximately 150 million years ago. Redmond Clay is a bentonite clay. Redmond brings this clay of a thousand uses to market in its natural state with no additives, chemicals or preservatives. The only processing it undergoes is crushing and screening. External Uses Mix the Redmond Clay with water to make a gel the consistency of mustard. Then apply the gel/paste directly on the skin for a drawing effect. If the clay is not covered it will dry out, and as it dries, you will feel it draw and pull. If you want a tightening effect, as in the case of a facial, leave it on until it is almost, but not totally dry, then remove. If you want a more cooling and soothing effect, cover the gel with a plastic covering or wet cloth so it won t dry out. To remove the clay pack, simply wash it off with water and a gentle rubbing motion. Do not reuse the clay pack. Other external uses have been as a talcum powder or a diapering powder. Pre-mixed ready to use gel Mix two parts water with one part Redmond Clay to make a gel or mud. You can use a blender or mixer to speed up the process or you can just shake or stir by hand to create a smooth and creamy consistency. It should make a mud the consistency of mustard. If it seems too thin, add more clay. If it seems too thick add more water. Store the gel in a covered, non-metallic container and it will not dry out and will not separate. If it does dry out over prolonged storage, just add water and remix. 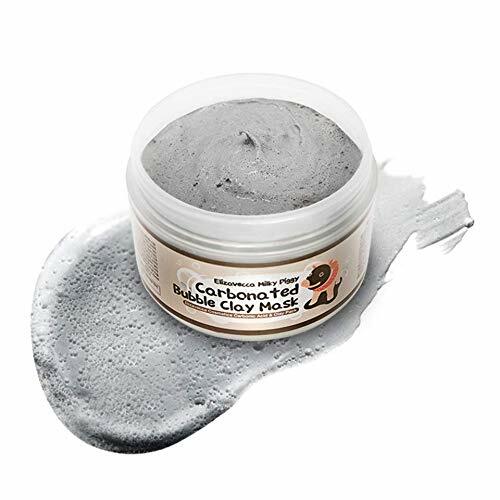 NATURAL SODIUM BENTONITE: Bentonite clay face mask can shrink the size of your pores and help keep your face clean and blemishes at bay. Mix this clay mask with water to make your skin look and feel fresh. SOOTHING FACIAL MASK: Keep your skin soft, smooth and blemish-free with natural sodium bentonite clay which draws abnormal shedding of dead skin cells and excess bacteria as it dries. CONTROL SEBUM: Oily skin produces too much sebum, which encourages bacteria that can lead to blemishes. Natural bentonite clay removes extra sebum from your skin and makes it feel healthy and bright. 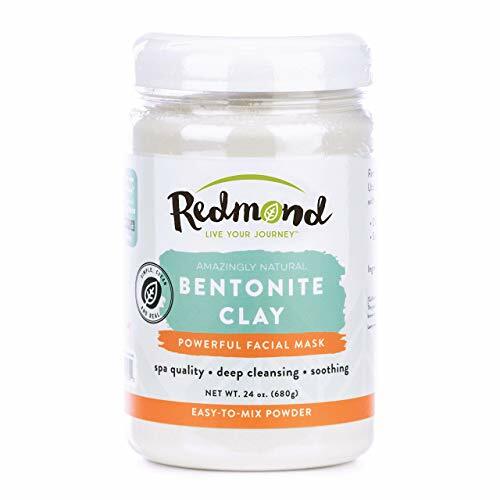 DRAWS IMPURITIES OUT OF YOUR PORES: Redmond Clay bentonite draws impurities from your pores as your clay facial mask dries, avoiding clogged pores, blackheads, and other blemishes. SAFE FOR YOUR SKIN: Redmond Clay has been used for generations for normal, oily or acne-prone skin. Natural facial mask is packed with useful minerals and it helps to detoxify while nourishing your skin.